Mozzarella In Carrozza is a super popular Italian fried mozzarella sandwich – Golden crisp on the outside and creamy melt-in-your-mouth on the inside. 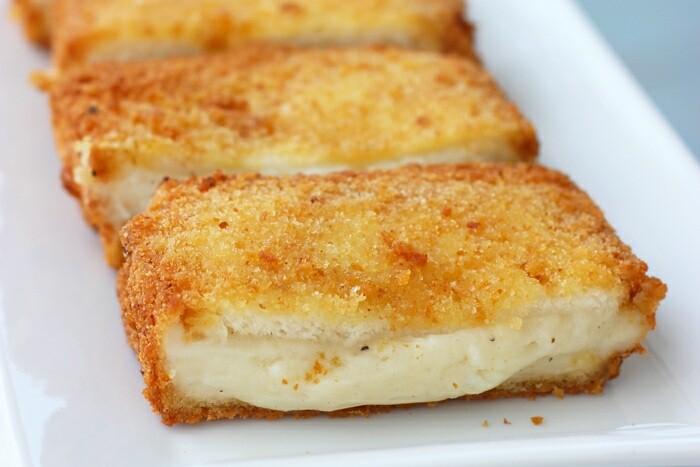 Mozzarella in carrozza literally means “mozzarella in a carriage”, and it’s a fried mozzarella sandwich filled with delicious molten cheese. It was originally meant to be a simple frugal meal, made with leftover bread and mozzarella bits. 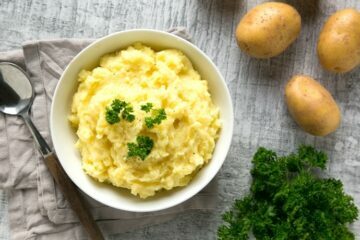 It was first created in Naples area about 200 years ago, and it’s still one of the most popular comfort foods in Italy. 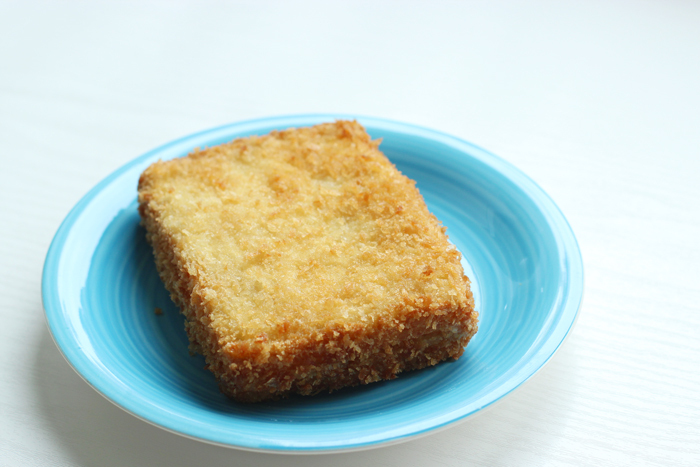 The 3 most popular Mozzarella in Carrozza versions come from Rome, Naples and Messina. Naples: The very basic version, the only ingredient between the two slices of crispy bread is pure buffalo mozzarella. It’s incredibly creamy inside and the mozzarella is the one and only star. Rome: The roman version adds two extra ingredients and uses fior di latte instead of buffalo mozzarella. Either anchovies or cooked ham are added. It’s more rich and definitely bold in flavors. Messina: In this Sicilian version, the mozzarella is trapped between two slices of bread gently brushed with béchamel sauce. 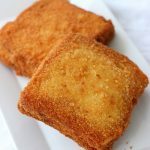 The lightly spiced sauce gives a unique complex flavor and extra creaminess, delivering a mozzarella in carrozza that literally melts in your mouth. As you can see there are many ways to enjoy Italian mozzarella in carrozza and each one tastes amazingly delicious. 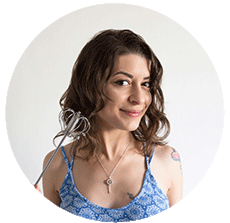 Whether you choose to go basic, add béchamel sauce or any other favorite ingredient, I promise these will be your new favorite comfort food. 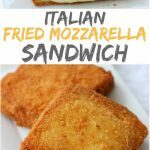 The classic Italian fried mozzarella sandwich is made with very simple everyday ingredients such as: bread, eggs, flour, a fresh beautiful mozzarella ball, plus one of the fillings above ( or any other filling you like. Your sandwich, your rules). 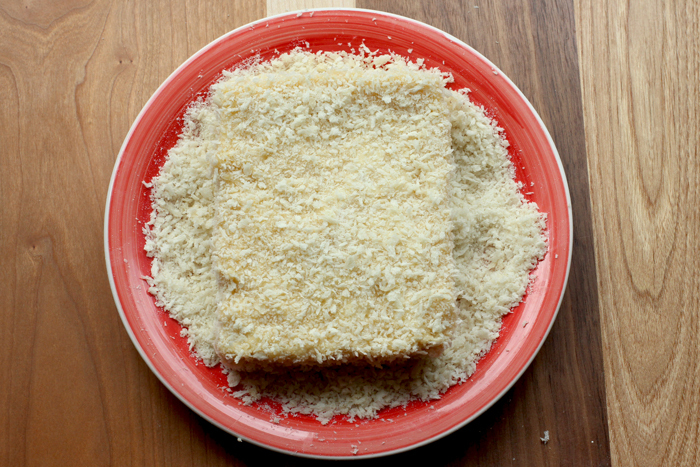 Making this fried mozzarella sandwich is pretty quick and straight-forward. 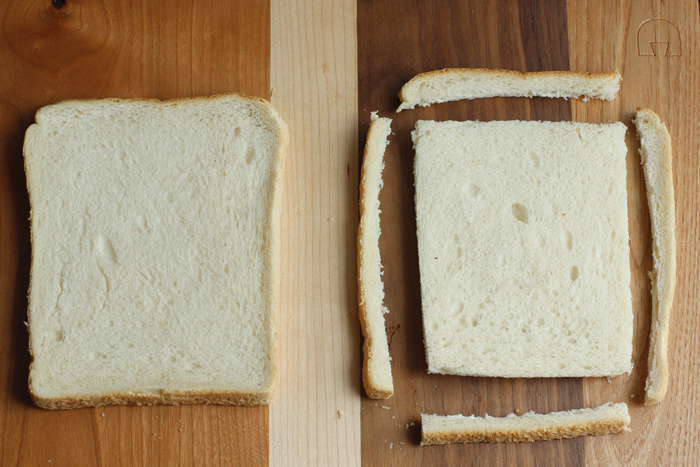 Start by slicing off the crust from two slices of classic sandwich bread. I used white bread here, but wholemeal, multi-grain or gluten-free bread would most surely work just as great. Brush the bread with béchamel sauce for the Sicilian version, add a slice of ham for the roman way or leave it plain for the Neapolitan. Add 2 thick mozzarella slices (about 1-inch wide) and close the sandwich. Arrange the flour in a bowl or plate, and dredge the mozzarella sandwich in until fully coated. Beat the eggs with the milk in another bowl, season to taste with salt and pepper. 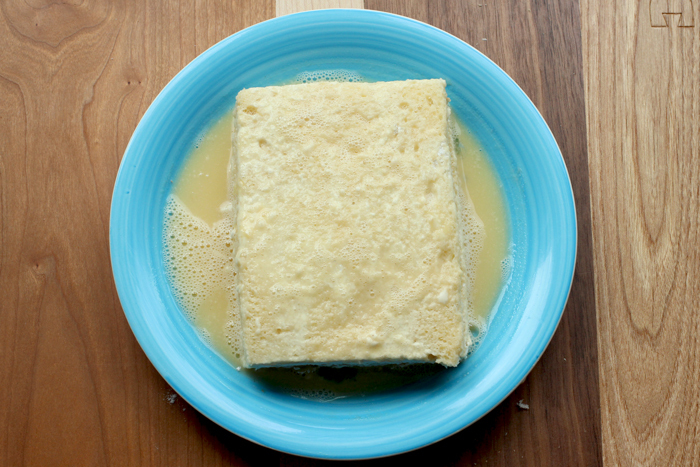 Coat the sandwich on all sides with the egg-wash until fully covered. Arrange the breadcrumbs on a plate and coat the sandwich to fully seal the mozzarella inside and avoid leaks during frying process. 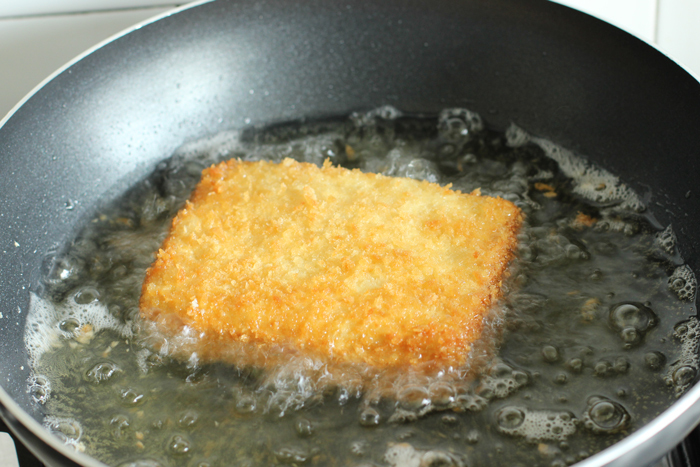 Dip the fried mozzarella sandwich in hot oil and deep-fry 2 mins on each side, or until crispy and golden on both sides. Let it rest on a plate covered with kitchen paper for a couple of minutes, then serve nice and hot! A thick hot crispy sandwich loaded with cheesy, gooey, melt-in-your-mouth mozzarella, this Italian fried Mozzarella Sandwich is the answer to the American grilled cheese sandwich – A MUST TRY! 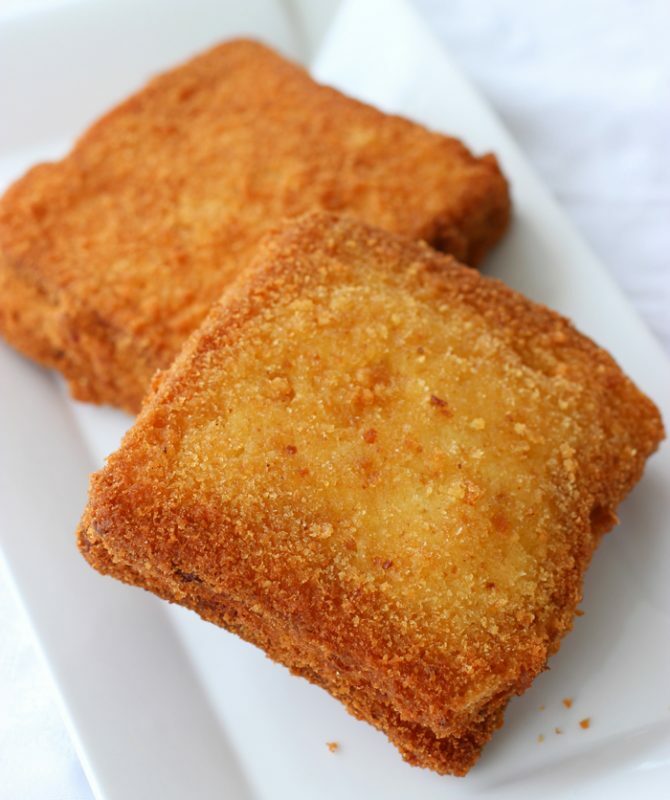 Mozzarella In Carrozza is the most popular Italian fried mozzarella sandwich - Golden crisp on the outside and creamy melt-in-your-mouth on the inside. 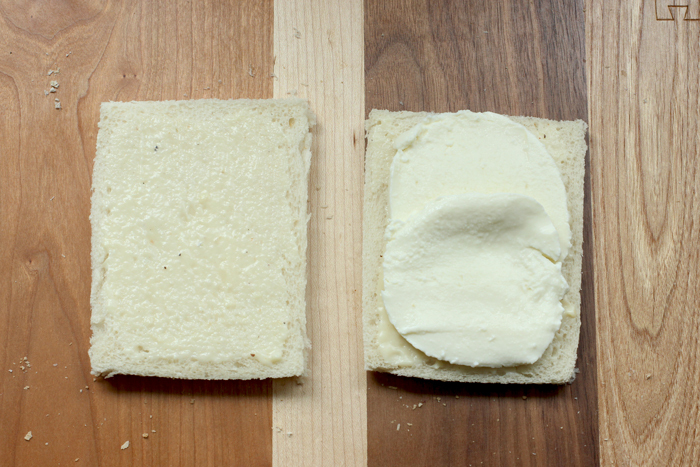 Cut the crust off from the white sandwich bread slices. 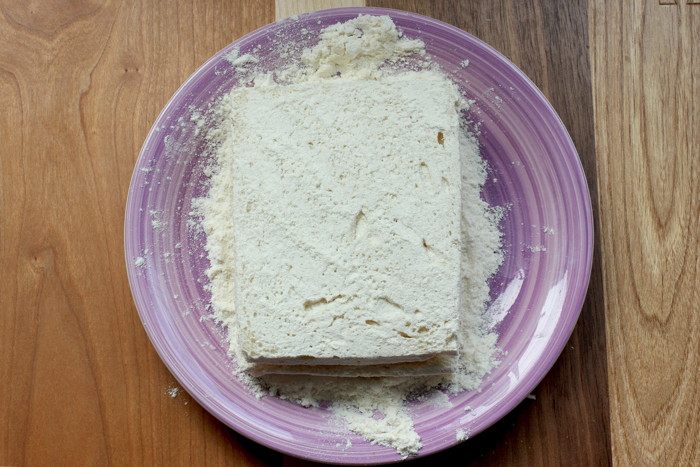 Arrange flour in a bowl or plate, and dredge the mozzarella sandwich in until fully coated. 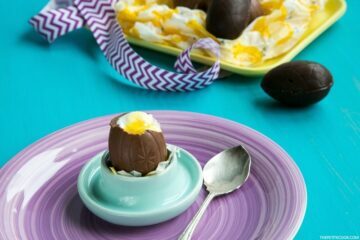 Beat eggs and milk in another bowl, season to taste with salt and pepper. Coat the sandwich on all sides with the egg-wash until fully covered. Arrange breadcrumbs on a plate and coat the sandwich to fully seal the mozzarella inside and avoid leaks during frying process. Heat the oil a in a deep heavy sauce-pan or a wok. Add more oil if needed until is enough to deep-fry the sandwich. Heat over medium-high heat until a deep-fry thermometer reads 350°F/ 170°C. Gently fold the sandwich in and deep-fry 2 mins on each side, or until crispy and golden on both sides. Drain on kitchen paper and serve nice and hot. Enjoy! 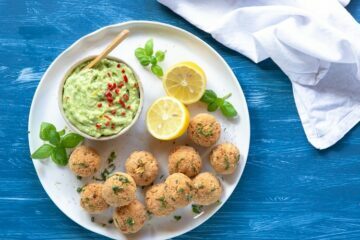 Mamma mia quant’è che non mangio una mozzarella in carrozza! Mi ero quasi scordata che bontà che è! E’ una delle cose piu’ buone al mondo! YUMMM!